Whether you’re looking for a budget friendly solution to refresh your current outdoor surface, a dramatically updated decorative option, or a better driveway finish, HMS can help with our high quality resin driveway and path solutions. 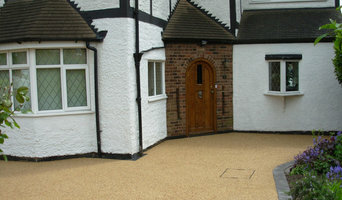 We've been helping our customers transform their outside spaces with resin bound and resin bonded design and in-house installation for over 25 years. In 2018 we opened a showroom, located at our Head Office in North Kilworth for trade and the public (opening hours are 9am - 5pm Monday to Friday). Contact us today to discuss your project, or visit our showroom, to see how we can help you transform your space with an entrance that enhances your home’s true value. Why should I hire Leicester, Leicestershire driveway pavers? For those building a new home from scratch or completely renovating a house, sorting out the driveway and paving around the exterior of the house is usually something that comes as an afterthought, or at least left until the main living areas areas of your home are sorted. However, it’s always a good idea to talk to professional Leicester, Leicestershire driveway pavers at an earlier stage because they can work in tandem with any other exterior contractors working on the job to create driveway solutions that work with the rest of your house. The driveway construction may not be able to happen until after other contractors have finished, but the space will be ready for the paving or laying of the driveway. Here are some related professionals and vendors to complement the work of driveways: Stone, Paving & Concrete, Main Contractors, Landscape Contractors, Cladding & Exterior Contractors. Find a driveway pavers on Houzz. 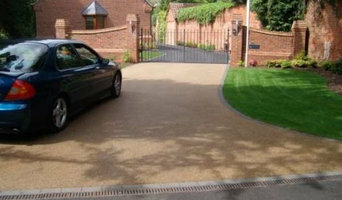 Narrow your search in the Professionals section of the website to Leicester, Leicestershire driveways and paving. 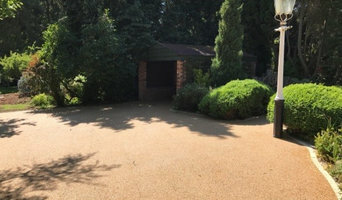 You may also look through Leicester, Leicestershire photos to find examples of driveway solutions and paving that you like, then contact the driveway pavers or contractors who worked on them.